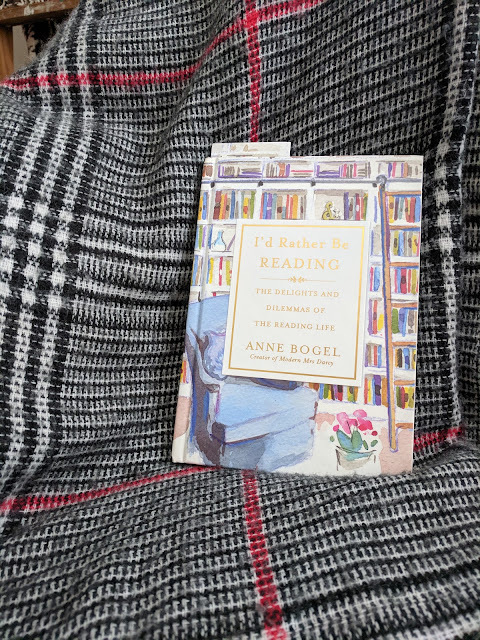 I read Educated as a buddy-read over on Instagram, and I have so many thoughts and feelings about this memoir. Tara Westover grew up in Idaho with Mormon fundamentalist, prepper parents. She didn't have a birth certificate until she was nine years old and didn't step foot in a classroom until she was 17. Educated is her story of realizing that the world is so much bigger than she was led to believe and about the crossroads she found herself at with her family. I'm a participating, mainstream Mormon and was particularly interested in this aspect of Tara's life. Her family went to church, though held beliefs about education, government, medicine, and family roles that don't necessarily fall in line with mainstream Mormon doctrine. 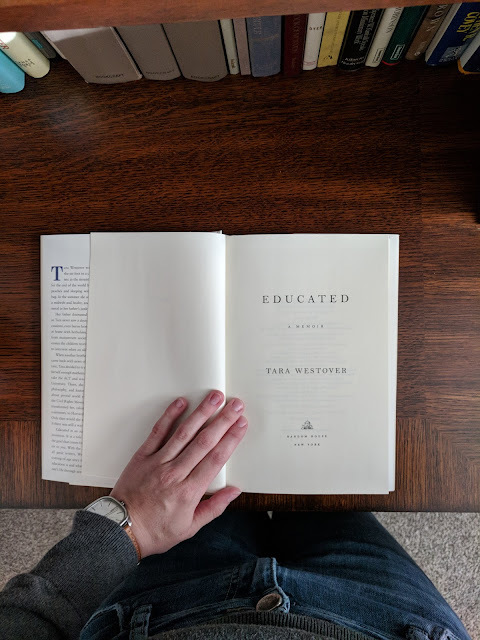 The American Mormon community is its own world unto itself, and reading about the Westover family made me feel my own connections to that world in an interesting way. As I read about Tara's formal education and her education about family relationships and what they should and shouldn't look like, I saw a profound amount of grace in her life as she distanced herself from her family. She doesn't practice Mormonism anymore, and I truly understand why she needed to break from religion. 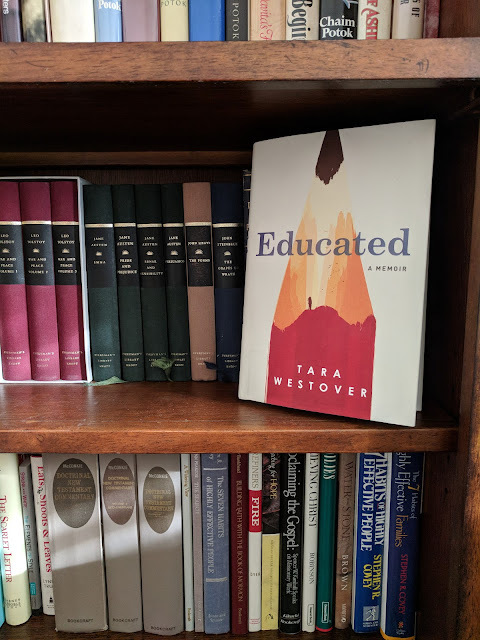 The way I understand my faith is not at all how the Westovers practiced it, and so if that's how Tara understood Mormonism, I wouldn't want a part of that either. From my own gospel perspective, I saw the Savior's grace operating in Tara's life in a very unique way, and I came to understand my own faith in a more nuanced way. If any other active Mormons have read this, I would love to talk to you about your experience with this book. Throughout reading this book I was struck with profound gratitude. I'm grateful for the lifelong education I've had, both formal and informal. I'm grateful for parents who encouraged and supported my learning in all its forms. I'm grateful for healthy and safe family relationships. I was also so happy to see Tara's discovery of the world. I was grateful for the people in her life who gave her grace and who encouraged her to develop her strengths and believe that she's worthwhile. Ultimately Tara has to reconstruct her own reality and has to decide that she's strong and worthwhile enough to do so. If you've read Education I'd love to know what you thought about it. I know there is a bit of controversy about her story, and I'd love to discuss memoir and what it means factually about a person's life. The author's note at the end of the book was especially interesting to me, and I love the nuance she has with her life and her family. Perhaps most of all I love the message that we don't understand everything or everyone, and that people are far more complicated than we can know. We can live in that not knowing and still be at peace. Any links in this post are affiliate links.